Hello Dies R Us friends. 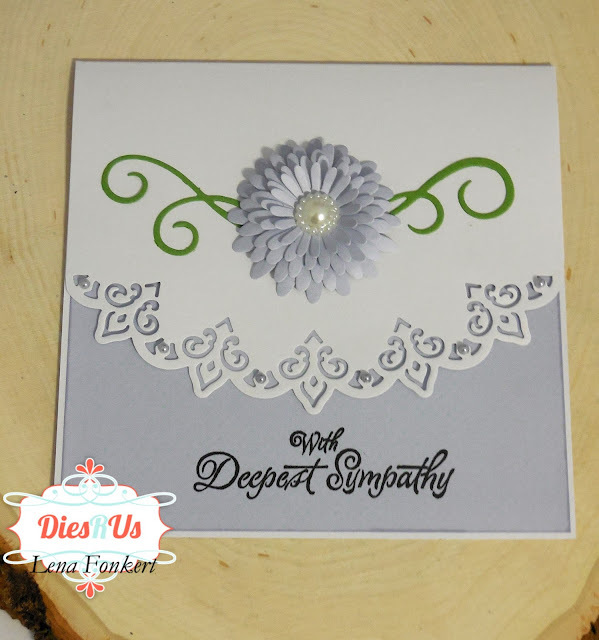 Lena here today sharing a sympathy card I made for a friend who recently lost her brother. These are without a doubt the hardest cards for me to make. These are the dies I used to put this card together. I began with a 5.5" x 5.5" square card and centered the Paris border on it. 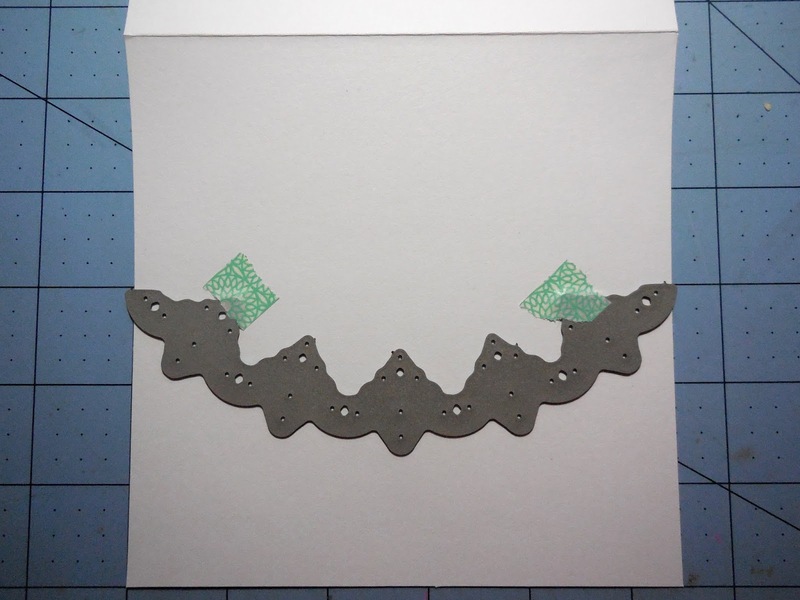 I normally use the grid on my craft mat to help me centre my card and then my dies on my card. Now it's time to cut the other pieces. 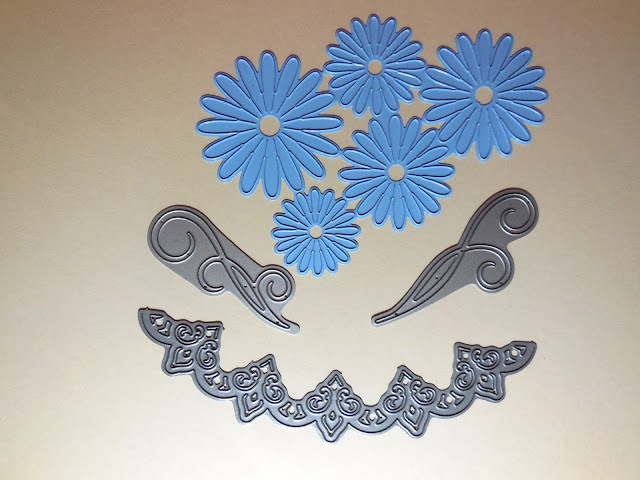 I used all five layers to make my flower and then a few flourishes for the leaves. I always tend to keep Sympathy cards on the plain and simple side and this one was no different. Once the front of the card was made, I worked a little on the inside. I cut a mat of the same paper as the flower and adhered it to the card. 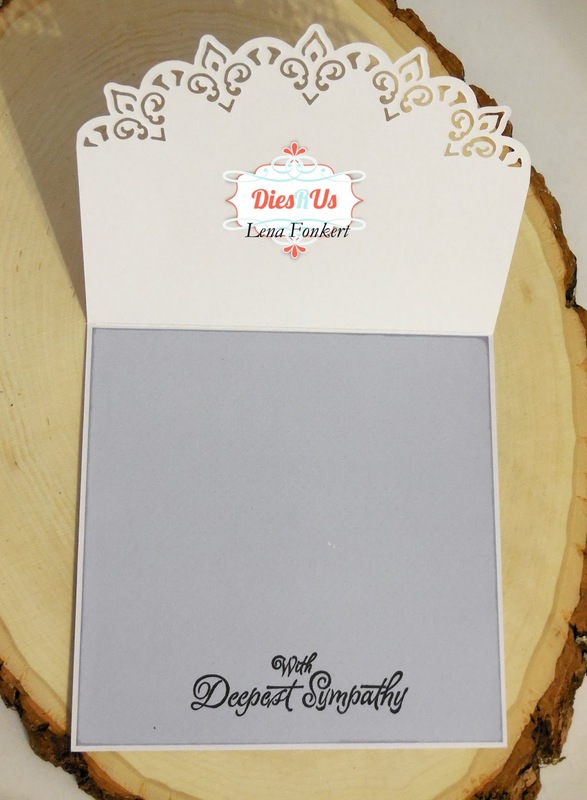 Next I stamped the greeting with Memento Tuxedo Black ink. As I've mentioned before, every so often, Dies R Us runs a big sale on international dies. During these times, you will find dies from companies such as Marianne Designs, Lea'bilities, Joy Crafts, etc. The best way to know about these fabulous sales is to subscribe to the Dies R Us Newsletter. If you scroll down to the bottom of the page, you will be able to enter your email address and be put on their mailing list. Thank you for stopping by today. 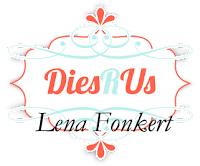 I hope I was able to inspire you to use your dies, create a project, and come play along at the Dies R Us Challenge Blog for your chance to win a gift voucher to the Dies R Us Store. A new challenge begins on the first and fifteenth of every month. 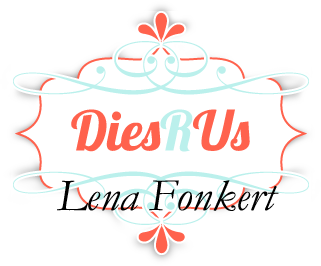 For your convenience, all the important Dies R Us links are provided below. Such a beautiful and thoughtful card. Really great sympathy card. I sure wish that I had seen this last night, as I just put in an order for dies. I certainly will would included these. Wish list! This is beautiful. That flower is gorgeous! You made a beautiful and thought-filled card. May your friend find much comfort during this sad time.